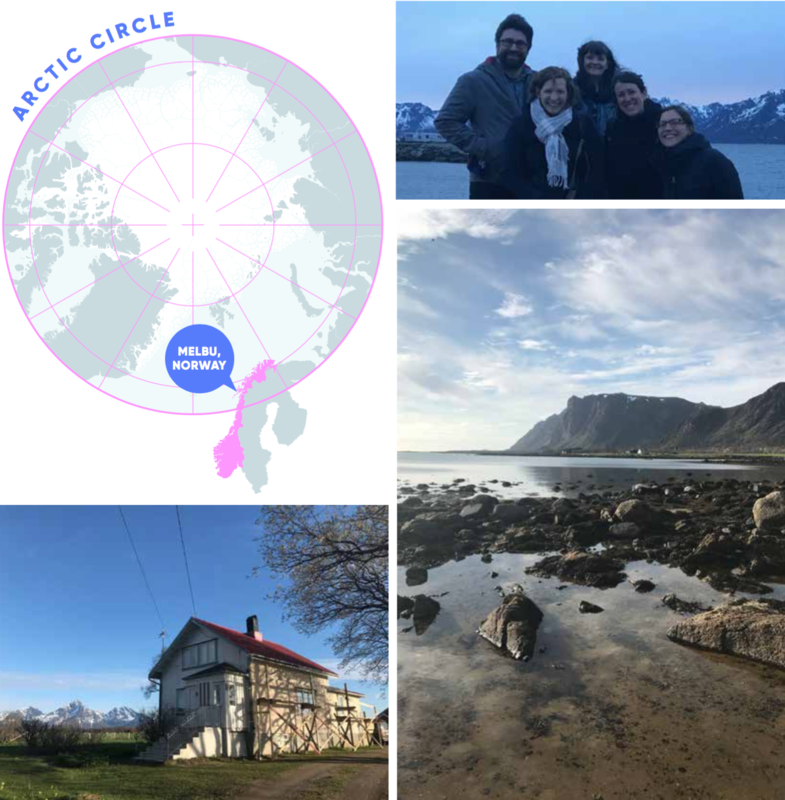 In May, we set up an outpost for the Center in the North of Norway. We invited writer and podcaster Nicola Twilley and our previous scientific collaborator Dr. Wendy Russell to join us on this adventure. We spent a week together based in a cottage on the outskirts of Melbu, exploring both local and global food systems. Melbu is on the island Hadseløya which is part of the cluster of islands that make up Versterålen and Lofoten. This was our homebase, and the map below shows the sites we visited. 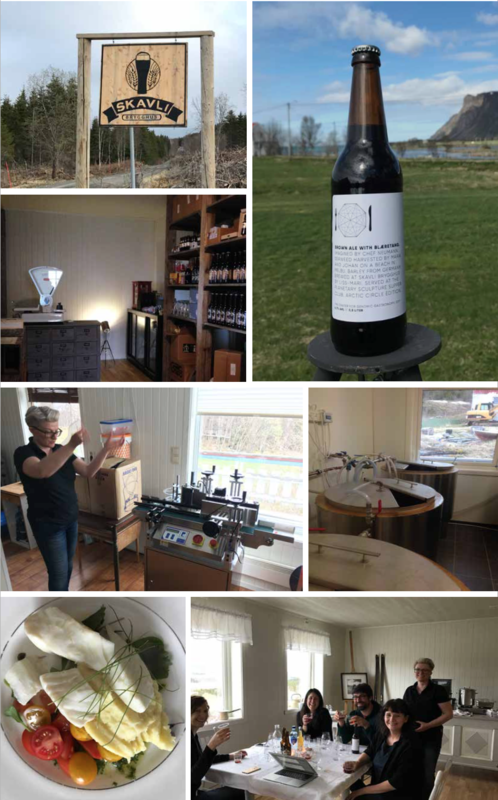 We visited Liss Mari who runs her micro brewery 10 minutes away from the Evenes Airport. Before we arrived, we talked with Nordland Akademy and Chef Neumann about making a seaweed beer for the Planetary Sculpture Supperclub. Maria and Johan harvested bladder wack seaweed, Neumann dried it, and Liss Mari brewed it! We went to pick up the beer on our first day and also got a tour of the brewery and a delicious meal. 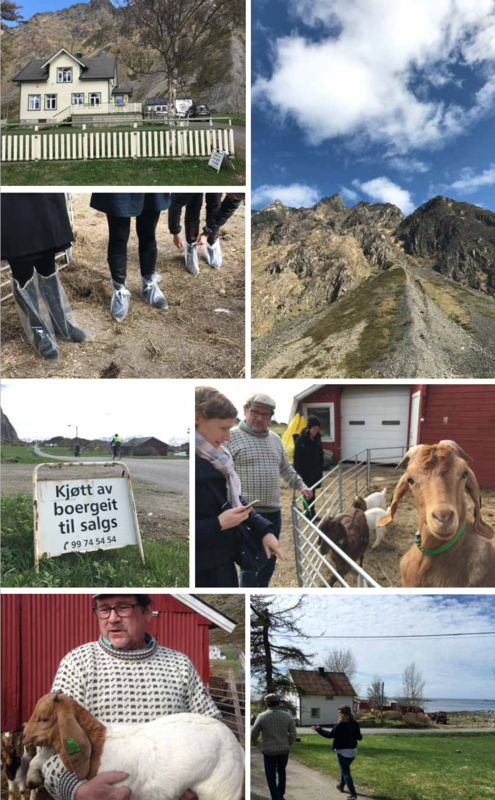 On the second day, our first visit was to Ivar the boer goat farmer. He told us about this unique breed of goat that originated in South Africa, but is very well suited to the climate in the north of Norway. He raises the goats mainly for meat, but they also perform useful ecosystem services, by eating their way through fields of the highly invasive Persian hogweed (Tromsø Palme). Like most livestock in this area, they are kept in barns over winter, and then allowed to graze free in the mountains in the summer months. The goats are particularly well suited for climbing the steep mountains right behind this little farm. We were given a tour of the old factory and learned about the history of Melbu’s fish oil industry. Modernised in 1910 by Christian Frederiksen, this factory invested in cutting edge technologies to produce vast amounts of fish oil by literally screwing the local herring population (in a screw press system). During his lifetime the factory was very successful. However, in the 60s there was a decline in the fish oil business due to a collapse in the herring population, a reduction in demand for fish oil and overproduction of product. This eventually caused the factory to shut down in 1987. The adverse effects on the local community partly due to the overfishing of herring in the 1960s, is one of many stories worldwide that serve as poignant reminders that no matter how industrious humans are, we are always relient on larger ecosystem flows. There’s a growing global trend of harvesting seaweed, both for eating and for other products (for example organic vegan lube). There is a great diversity of seaweed available around Melbu, so we were interested in foraging a few different varieties and taste testing them. 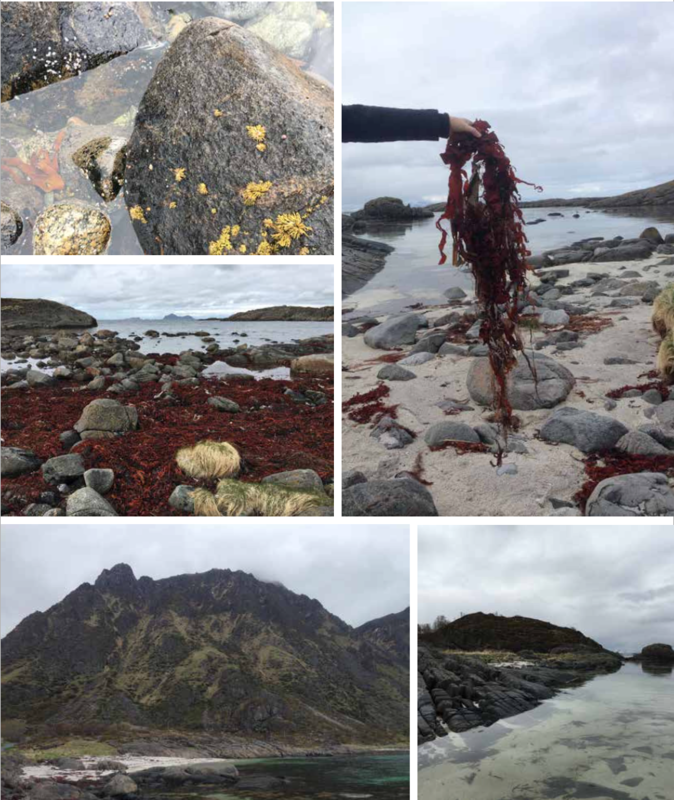 We visited the beach where Nordland Akademi harvested the bladderwack seaweed for the beer that Skavli brewed. Seaweed is still an unusual ingredient for the locals, but it is available in abundance, and chef Neumann uses it at his restaurant occasionally. Will we see the trend growing in Melbu? We visited Renee at his farm and learned about his biodynamic farming practices. We talked about his wonderful smelling compost that is at the center of his work, working with animals and growing vegetables, creating an ecological balance and providing delicious, local food. Choosing resiliency over efficiency, he was definitely an anomaly in the regional countryside, but hopefully his passion and success can inspire others to farm in ways that leave the earth replenished rather than exhausted. 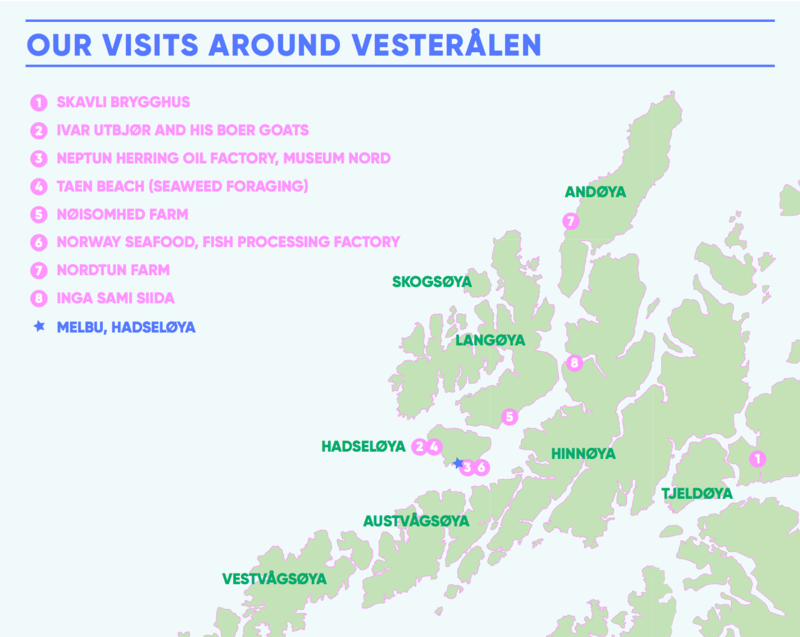 Norway Seafood is a fish factory that can process up to 6000kg of fish an hour. We were given a tour of their facilities. They receive fish from small 100kg catches by local fishermen to 100,000kg catches from trawlers in the area. 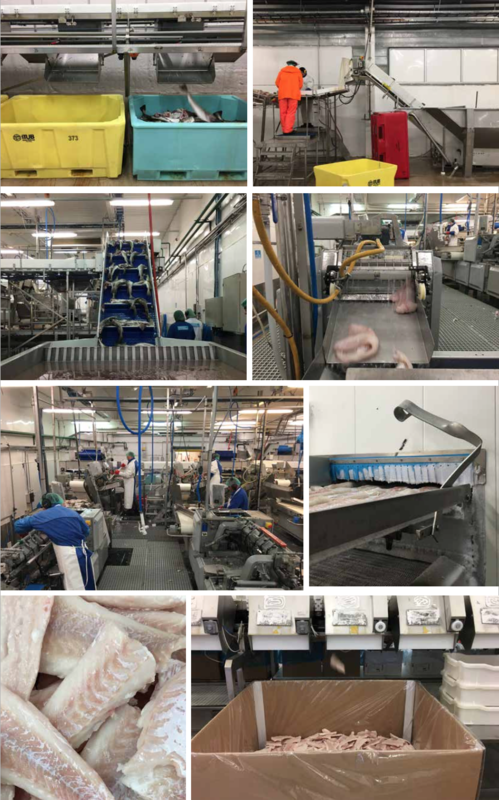 These fish are then processed – cleaned, filleted, frozen and packaged – and shipped all around the world for consumption. Every part of the fish is used, even the scraps are collected, frozen into large blocks, and sold as food to a mink farm in Finland. This state of the art facility is one of the factories that makes Norway the largest worldwide exporter of fish. 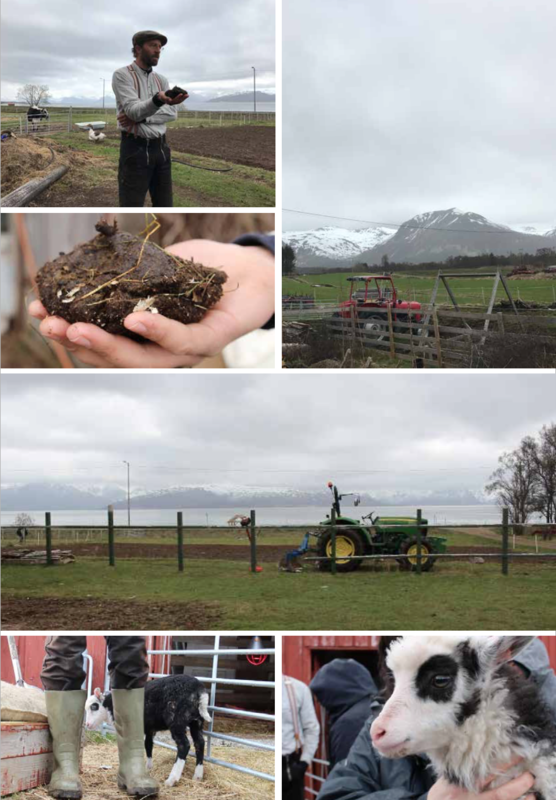 Nordtun is a small-scale dairy producer in Andøya, housing 20 cows. 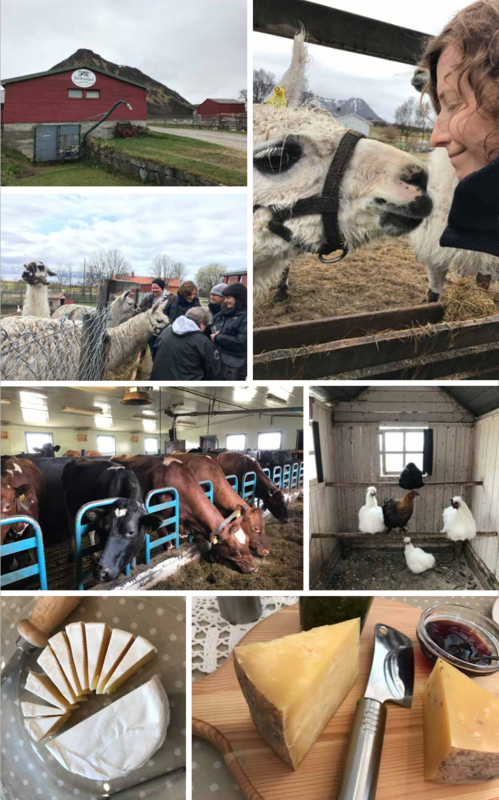 Instead of selling exclusively to Tine (Norway’s largest producer of dairy products) Nordtun farm’s owners make a variety of delicious hard and soft cheeses that they sell in a small shop at the farm. In addition to cows and chickens, Nordtun is home to a gregarious group of llamas that provide great farm entertainment. 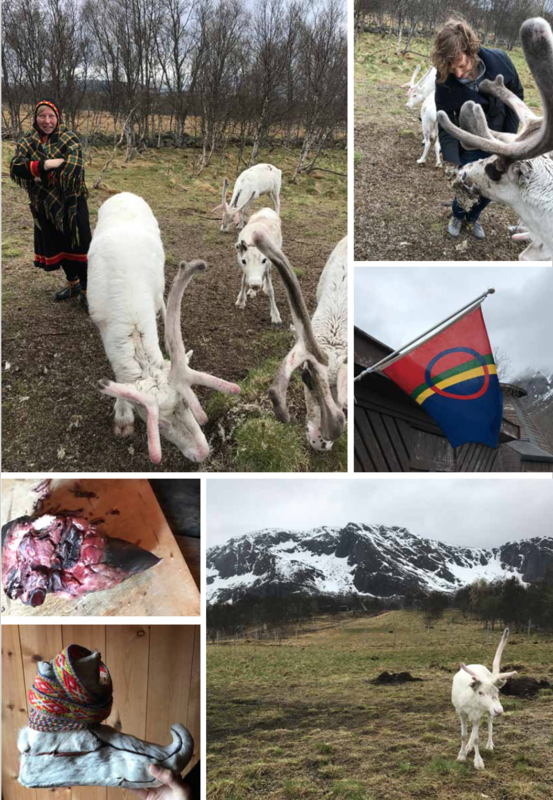 We also spent a few hours with a Sami reindeer herder to learn about her animals and the history of reindeer in the region. The reindeer are essentially free-range in the warmer months, spending their days searching for food. Herders use GPS to keep track of their herd. Before departing we were able to taste reindeer heart and also feed the human-friendly reindeer some tasty lichen clumps. The Planetary Sculpture Supper Club is a collection of foods, recipes and stories that typify some of the ways humans unconsciously sculpt the planet’s biosphere through eating habits, flavour preferences and food technologies. 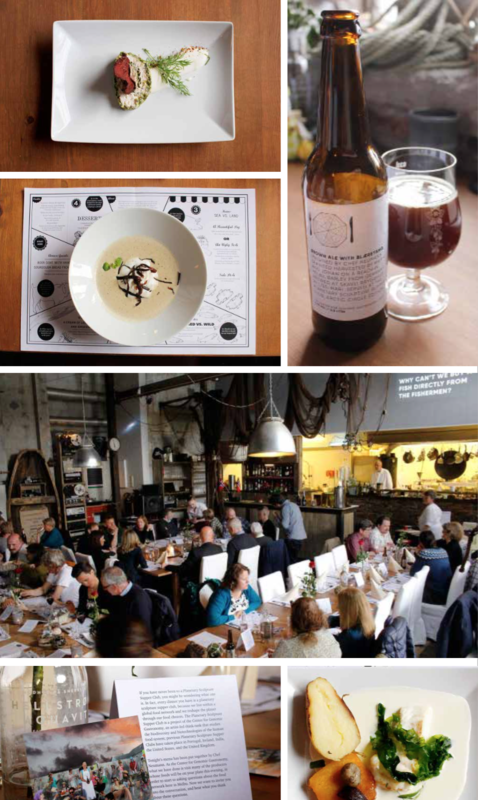 We hold this semi-regular Supper Club in order to explore the co-evolution of gastronomy and larger ecological, technological and political systems. As a conclusion to our residency we hosted a planetary sculpture supper club at the Neptune restaurant, serving food from the producers we have visited and cooked by Chef Neumann. Each course was served with a few questions that served as prompts for conversations with the diners about the local and global food system. For example, should we eat less fish or should we eat farmed fish? 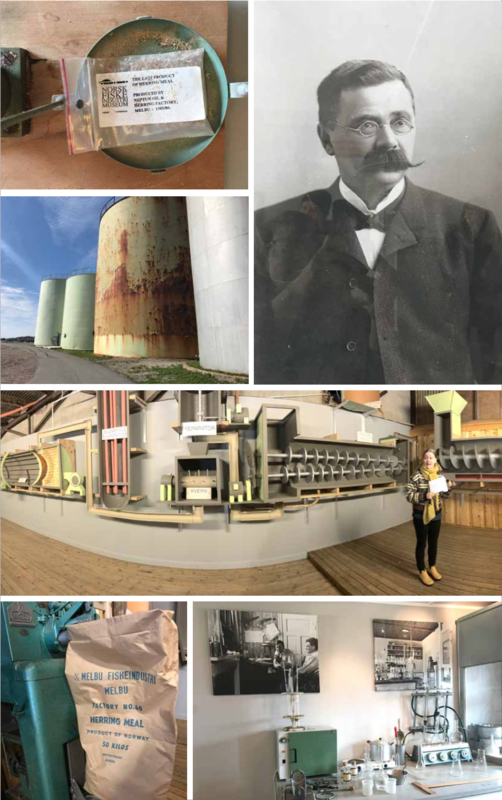 This residency was supported by the Nordland Academy of Arts & Sciences, Museum Nord, Neptun Arts/Science Lab, Arts Council Norway, Nordland County Council.